Immaculate home, great for a second home or year round living, with mountain & city views including famous Thumb Butte. Large front deck is great for enjoying those Arizona blue skies and BBQ's with friends & family and taking in the breathtaking views! Multiple upgrades that include but not limited to, new ceiling fans, UV Windows with wood blinds, engineered wood flooring, gas fireplace with thermostat and completely upgraded kitchen and much more. Walk-in closets, loads of storage, attached 2-car garage, concrete driveway, walkways & much more. Very low maintenance yard with native plants. 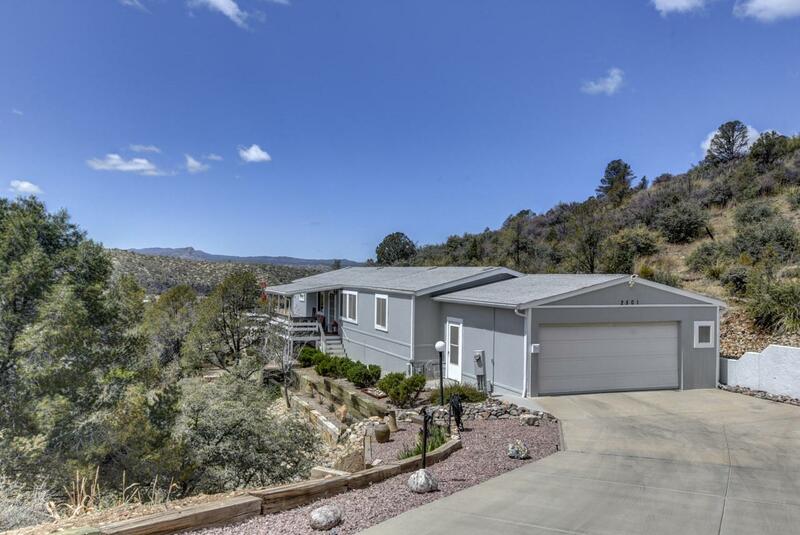 Great location in a sought after 55 plus community close to shopping, movie theater, restaurants, hospital, and the Historical Downtown Prescott! Listing provided courtesy of Tammy Pipkin of Realty One Group Mountain Desert.